During the 1970’s, South Africa’s apartheid rule continued to use official procedures of explicit and implicit racism to subjugate and demoralize the black Africans in the country. By the 1970’s, the majority black communities were sick and tired of these oppressive policies, which led to an increase in violence, protests and militant activity. However, not all organizations and group efforts to fight apartheid involved violence. In 1974, the South African regime passed the Afrikaans Medium Degree which required all black schools to use and teach Afrikaans as much as English. 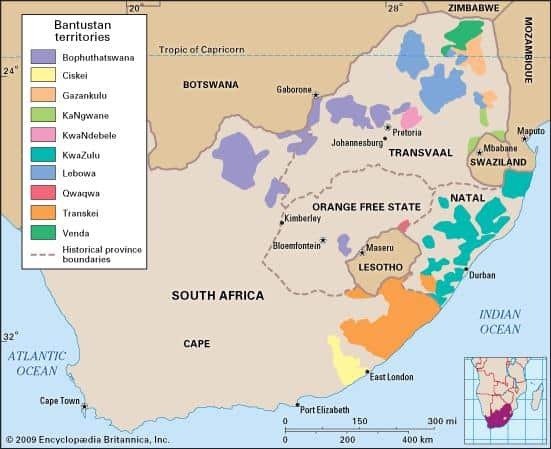 Because the language of Afrikaans was strongly associated with apartheid, black South Africans preferred their indigenous languages or English. 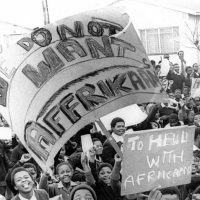 Opposition to this decree prompted black students to organize a peaceful rally on June 16, 1976 in the township of Soweto, located in the nation’s capital, Johannesburg. 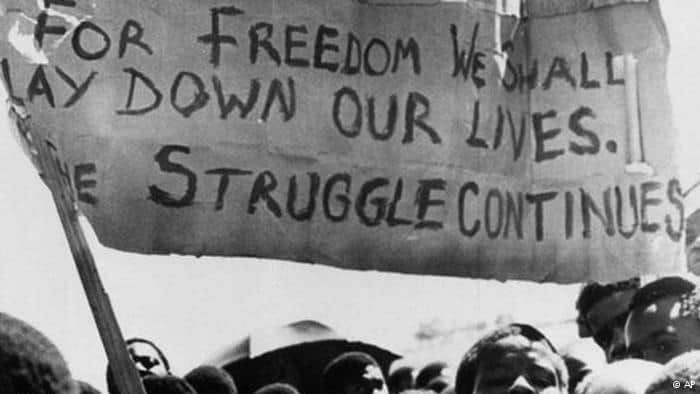 Between 100,000 and 200,000 students marched peacefully through the streets of Soweto, carrying banners and chanting for freedom from oppression. Though the protests began peacefully, they quickly became violent as police officers began to massacre and harm hundreds of students gathered. The amount of casualties is unclear, with numbers ranging from 100-700 people dead and thousands injured. The following excerpts give a glimpse into the events leading up to the Soweto uprising and the aftermath that followed. Many saw the Soweto Uprising as a turning point, signaling the sure end of apartheid in the near future. William B. Edmonson worked as the Deputy Chief of Mission in Pretoria from 1974-1976. He remembers the Soweto Uprising as a point of building turbulence and change in the country’s mindset. He later served as Ambassador to South Africa from 1978-1981 and shares his views that South Africa had already made many changes and progressions in only a couple of years since the Soweto Uprising. He was interviewed by Arthur Tienken and Thomas J. Dunnigan beginning April 1988. Harvey F. Nelson Jr. worked as the Deputy Director of Southern Africa Affairs at the State Department from 1969-1971 and the Deputy Chief of Mission in Johannesburg from 1976-1979. He also recalls the 1976 Uprising as a key period of change for South Africa when the younger generations began proactive changes for a more equal system of government and the older generation and white population began to concede that apartheid’s reign was coming to an end. He was interviewed by Charles Stuart Kennedy beginning September 2000. Monica Joyi was born and raised in South Africa and worked as the U.S. Consulate General in Cape Town from 1975 to 1995. She recalls what it was like to grow up as a black woman in South Africa during apartheid and discusses the importance of the Soweto Uprising in changing South Africa’s policies and ideologies. She was interviewed by Dan Whitman on December 1, 2009. Peter David Eicher, a political officer in Pretoria and Cape Town from 1976-1978, discusses the mentality and ideology of both white and black South Africans during this time, focusing on the younger and more moderate generation of people who would eventually help abolish apartheid and explains why the embassy did not view the future as hopeless. He was interviewed by Charles Stuart Kennedy beginning May 2007. Today, South Africa remembers the events of June 16th and commemorates the lives of the lost students through a public holiday called Youth Day. You can also read about Nelson Mandela’s road to the presidency and other Moments on Africa. EDMONSON: The Soweto riots occurred while I was in South Africa; in fact, had been going on for a while just about the time that I was called back to work in the [African Affairs] Bureau. The riots had pretty well subsided, but the issues that lay behind them were things that we had been pointing out to the South Africans for some time as problems of apartheid…. Looking back to Soweto and other events, there were changes… Things had already changed even from my first period there, when I took my daughter on one of her vacations from college to see the post office in Cape Town, where there were separate counters for Whites, Blacks, and Coloreds just to get stamps or money orders. It looked like a railroad station with different trains. Even a bench would be divided, with one end of the bench marked for Whites only, in Afrikaans, and the other for non-Whites, nieblunk. That had disappeared. 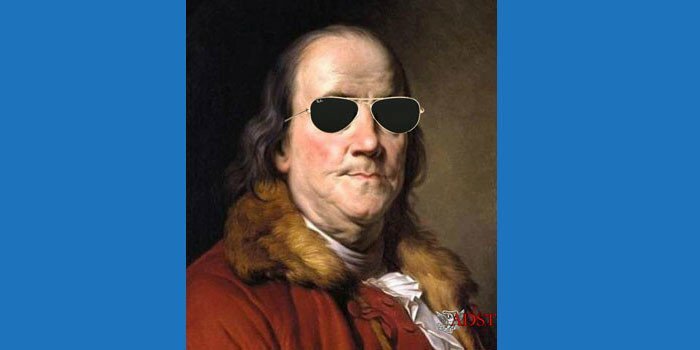 The theory…of “violent evolution” was that there were periods of adjustment and readjustment. Soweto was an excellent example. The outbreak, of course, was over the enforced teaching of Afrikaans to all Africans in Soweto, and the strike against that by young people, and one boy was killed, and then everything broke loose. All kinds of grievances came out. You saw people, then, wringing their hands, even the very liberal White South Africans who were very concerned about apartheid, who wanted their government to move much, much faster, were also very concerned about this violence. You could see how they were being torn apart by this as they watched these things for the first time on television, which had for a long time been prohibited but came to show this kind of news, so people saw what was happening in their country. You could see people almost literally wringing their hands, worried about it, wanting to move away from apartheid, but not wanting this kind of violence to occur. NELSON: It was a key period. The Johannesburg township of Soweto went into rebellion – mostly the young ones. This was the beginning of the end. Even the white regime recognized then that it had to do something. When I was Deputy Director of Southern Africa Affairs, I went out on an orientation trip to South Africa. I was full of missionary zeal to get rid of apartheid, not understanding the situation at all. I participated in many discussions lasting well into the night with both blacks and whites. One old white Afrikaner said to me, in the wee hours of the morning, that I was absolutely correct that apartheid could not survive, but that that wasn’t his problem. It would be his grandchildren’s problem. So there was a recognition that apartheid had to end. After the young people in Soweto rioted and a number of people were killed, everybody remained nervous because the turbulence continued even after the riots had passed. So it was a very interesting time. JOYI: I had a voice…as a young adult and I saw other young adults around me, who were also actively involved in politics. The high school I went to was always involved in protest marches, boycotts and demonstrations; and there were several other schools around the country, but Livingstone is the one school that stands out as it had a long history of activism since its inception in the 1940s and the culture of activism was instilled in us from home to school and in the community, leading through the turbulent times of our political history, which culminated with the liberation of South Africa. There were other high schools in the Cape Town area as well but I guess I am a chauvinist since I am sharing my experiences. EICHER: South Africa at the time was very much at the height of the apartheid system, officially called “separate development,” but in fact a system of very strict segregation, that was vigorously enforced through a very harsh police apparatus. 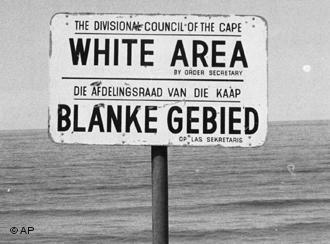 Apartheid affected all facets of life – where people could live, or work, or eat, or go to school or to the movies, even what public benches they could sit on. It was accompanied by a strict “pass system,” under which blacks were officially not citizens of South Africa. The Soweto riots of 1976 were the start of a very long period of serious urban unrest in South Africa in opposition to the system. It was the first sustained, widespread, black action in opposition to the regime. There had previously been race riots in Soweto around 1960, but they were very short-lived. The unrest following the 1976 Soweto riots continued for my entire tour of duty, on and off, and led to sharp crackdowns and further restrictions of civil liberty, the arrests of lots of leaders, and the banning of lots of organizations. It was a very tense period, politically. After the riots in Soweto – a suburb of Johannesburg – broke out, rioting spread to other townships, or segregated suburbs, all over South Africa. So these riots broke out in the summer of 1976, just as I was about to head out. Our view at the embassy was more restrained. We knew the riots were serious and were an indication of the inherent instability built into the system, but the overwhelming preponderance of power was still with the whites; the rioters weren’t going to be able to topple the government and its security apparatus, certainly not in the short term. On the white side, most of the power was still in the hands of the older generation of Afrikaner politicians who were committed to apartheid as the solution to South Africa’s racial problem. However, there was already starting to be the first signs of a split in the Nationalist Party, although “split” is probably too strong a word. The party was still solid, but what was happening was that a group of younger and more enlightened Afrikaners were emerging as a new generation within the Nationalist Party, who realized that they had a big problem and didn’t have the answer. They didn’t know what the answer was, yet, but they knew – unlike the previous generation which was still in power at the time – that over the long term apartheid was just not going to work. They were not going to be able to corral the black population into Bantustans and have that be an effective policy. On the black side, beyond the ANC and PAC, you saw a very strong sense of “We want our share, we want our rights, we want justice,” but, surprisingly, this was not coupled with a strong desire for revenge or retribution, as you might expect. 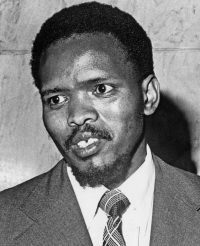 There was a whole new black political movement emerging out of the Soweto riots, the so-called “black consciousness movement,” which was an internal opposition that continued to crystallize.